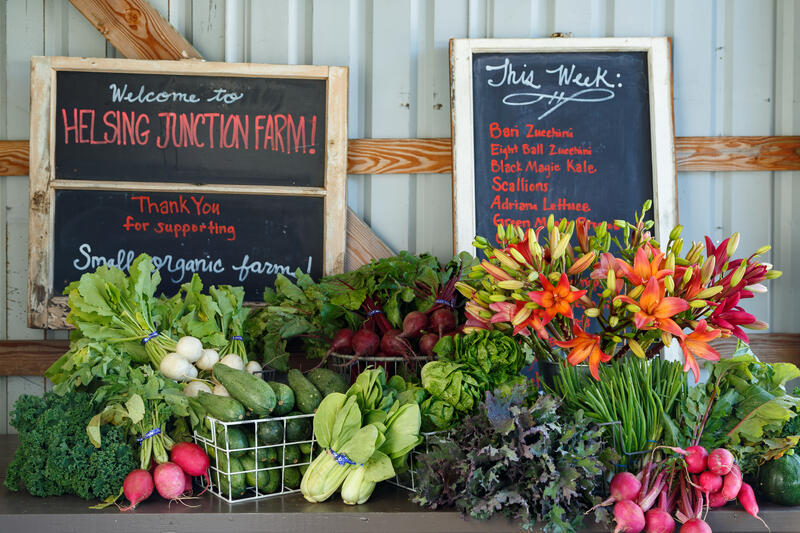 Helsing Junction Farm has 100+ varieties of organically certified vegetables, strawberries, raspberries, apples, Asian pears, herbs and flowers. 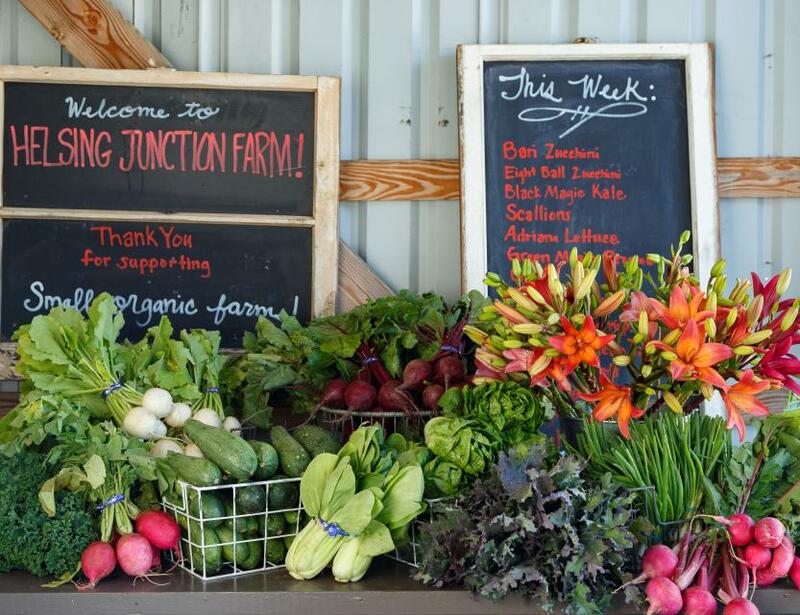 The CSA members receive a box of fresh produce and flowers weekly Jun-Oct. They also offer additional mushroom, kraut, honey, and flour shares. Yearly events include local music festival and farm open house. They have a farm stand which is open 7 days a week with vegetables, flowers, fruit, pickles and canning supplies for sale. Phone, email, or check their website for driving directions.